Balochistan Government is said to have failed to execute Turbot Mega city plan due to hurdles in release of funds that has been stopped after mas­sive corruption was unearthed. 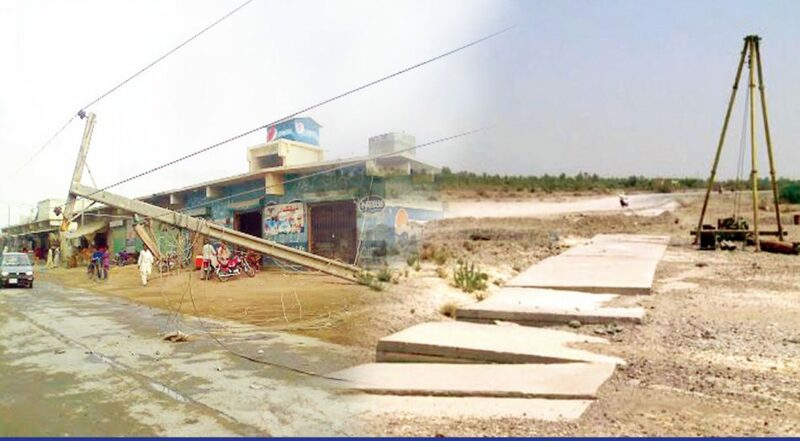 According to a state­ment carried by local newspapers by ex-commissioner Mekran division Pasund Khan Buledi all projects under way in Turbot city are stalled and very low or no prog­ress has been seen during the last two years due to which projects’ costs escalated with every passing day. The indigenous population of Turbot say District government has failed to execute millions of development projects, which were to be completed before Dr. Abdul Malik Baloch stepped down from Chief Minister’s slot. It is worth mentioning here that Dr. Abdul Malik Baloch during his tenure as CM had allocated Rs.5146.151 million for providing modern facili­ties to Turbot City such as widening of roads along with foot paths, sewerage, building flood water nullahs, street lights, planting flow­ers and trees on both sides of roads, building memorials along chowks in bazaars, construc­tion of Divisional Office Complex for bringing all the government departments under one roof, new Levies Headquarters, provision of modern facilities at bus addah, entry gates for entry into the city, land scanning of football and cricket grounds, building De House, and renovation of mosques but despite the pas­sage of three years no major project has so far been completed by the Authority. It is said Rs500 million was allocated for build­ing a divisional headquarters complex which will house key governmental offices like Com­missioner, Deputy Commissioner including District Council and Municipal Corporation but despite the passage of years’ work has still not begun. District government is waiting for the release of the funds to carry out the development schemes on many uplift major projects, an official within district government told Baloch­istan Inside. 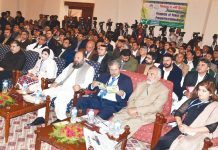 He said that for the construction of roads within the city and expedition of roads including other projects Rs.451 .8 million have been spent however, most projects are yet to start. Despite planning and announcement of several mega projects and allotment of a large chunk of funds district government has badly failed to launch any new project in the past three years except expedition of roads. District government says the ex CM-funded development projects in Turbot city are severely affected as the provincial govern­ment has released only Rs 2.5 billion out of total Rs.5146.151 allocated in Public Sector Development Programme (PSDP) for the uplift schemes of Turbot city. Chief Secretary Balochistan Saif Ullah Chatta has already expressed anger over the city’s poor condition despite the fact that billions of rupees have been spent on development work. Expressing anger over the poor condition of the city, Sources informed Balochistan Inside that the chief secretary has said despite spending billions on development projects, the city is looking like it is in ruins. Sources within the District government further told Baloch­istan Inside that Chief Secretary has expressed displeasure over the poor performance of relevant departments and he warned officials to improve their performance, and otherwise their cases would be referred to the anti-cor­ruption establishment. Talking about the poor condition of the city’s roads and execution of many projects, Assad Ullah Baloch, a senior journalist from Turbot said all development contracts were award­ed as political favors, and contractors have received full payment before completing the project due to which most of the work is left undone. “Until government departments are cleansed of political influence, only then should one expect the completion of Mega City Plan”. A lot of mega uplift projects including sewer­age, building water nullahs, street lights, plant­ing flowers and trees on both sides of roads, building memorials along chowks in bazaars, and construction of Divisional Office Complex are in doldrums, because of the non-release of funds. 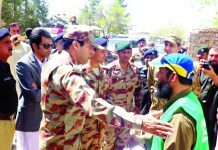 The district government has failed to get the funds from higher authorities due to massive corruption that was reported to Chief Secre­tary Balochistan by the ex-commissioner Mekran. 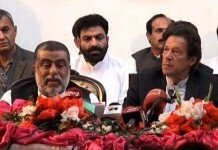 The sources further said that under pressure of the Chief Secretary Balochistan, funds for many projects are halted and the district gov­ernment is thinking not to initiate work on many. It is worth mentioning here that 2.5 billion rupees has already been released for the upgradation of roads but the condition of a 4 kilo meter road from Turbot’s main Chowk to city’s famous park hotel is in a pathetic condi­tion despite the passage of two and half years after it was dug up for widening purpose. It has not been repaired and this has resulted in frequent traffic jams. In spite of the huge public outcry against the pathetic con­ditions of roads in the city, the situation remains more or less the same. Even too many fatal accidents and heavy traffic jam has still not woken up the civic authorities from their slumber. Moreover, Roads at various places like Sha­heed Fida Chwok, National Bank Chowk and next to Park hotel are riddled with pot holes and sand, which are waiting to give motorists a bumpy ride. And the situation goes from bad to worse every time when a number of government employees come in Turbot to draw their salaries in the beginning of every month, which also results in huge traffic jams. The main road connecting Turbot city to Absor and Jussak has been dug up since months and it remained like that ever since,” com­plained Jam Mohammad, a businessman from Aslam Shah Market. Balochistan Inside took a glimpse around Turbot city to assess the situation on many projects including roads, and the result was anything but hopeful. 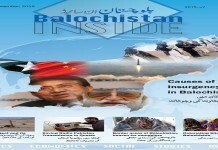 Solution of Balochistan Conflict: Military Operation or Negotiations? 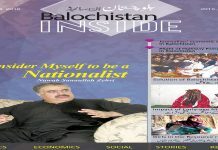 BalochistanInside.com is first bilingual quarterly magazine focusing on the issues of Pakistan's largest and richest province. Balochistan Inside will provide a platform where newcomers and senior writers together will highlight the ignored issues of Balochistan.